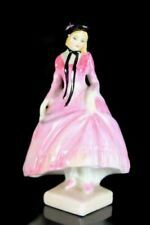 From Royal Doulton. Backstamp was used between 1901 and 1922. 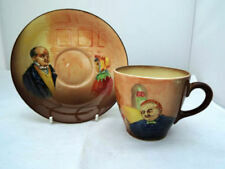 Vintage Royal Doulton Honesty 1XTrio.Cup, saucer and Plate 1902-1923.Free Post! 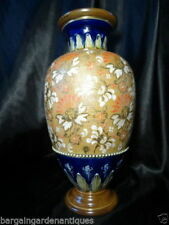 Art Nouveau Royal Doulton. The cup has a small hairline crack running 0.5 from the rim down, the saucer also has age related crazing. (As per pictures). 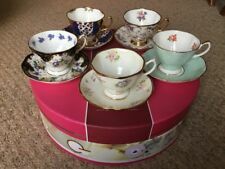 Vintage Royal Doulton Old Leeds Sprays Two Teaplates 7.5in dia Exc. Cond. Have no idea if they are a set. 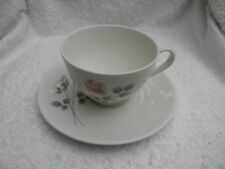 Royal Doulton Cup & Saucer. The Saucer looks in good condition. The cup has I think three minor nicks, have tried to show them and it is crazed but otherwise in good condition for its age. 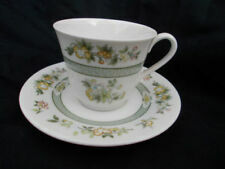 Pretty Royal Doulton cup and saucer in the popular rosebud design, dating to the early part of the C20th.